We’re raffling off two tickets to the world premier of the short film Bright Spots on Saturday, April 16 at the San Francisco Green Film Festival! All you have to do is sign up for our mailing list using the form below and choose “Enter me in the Bright Spots ticket raffle”! Island Conservation Chief Scientist Nick Holmes (who narrates the film) will be there to help introduce the movie and take a few questions. We will email the winner and announce on our Facebook page on Wednesday, April 6 at 12 pm PST! Part nature documentary, part fairy tale, and with blindingly beautiful animation, Bright Spots calls to prevent extinctions by removing invasive species from islands. 80% of the world’s extinctions have occurred on islands. In the 1990s, two surfer / biologists decided to do something about that. 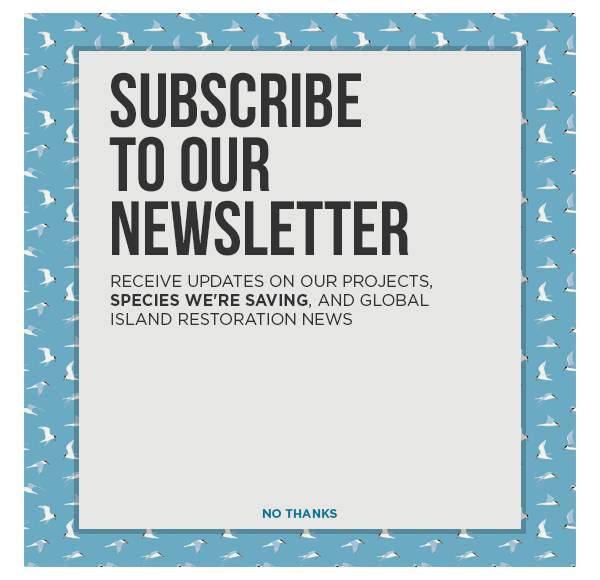 Today, their company Island Conservation employs dozens of people around the globe, removing invasive species from islands, preventing extinctions and making our world a little more hope-filled. Filmmaker and animator Jilli Rose interviewed their chief scientist, Nick Holmes, under a tree at the IUCN World Parks Congress last year, and the resulting film is chock full of big-hearted science. Narrated by Nick Holmes. Read an interview with Dr. Nick Holmes about his experience working on the film here. You can learn more about the San Francisco Green Film Festival and purchase tickets here. Sign up here to win tickets by 12 pm on Wed. April 6, 2016!